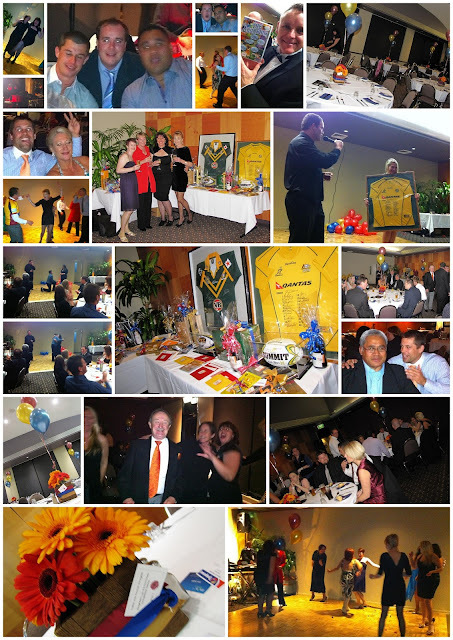 Last night we went to the Annual Dinner Dance fundraiser for Gareth's rugby club. It was a chance to leave the kids at home, dress up and party! Oh how rare an opportunity this is in our busy lives. I made the most of it. As did everyone else there! There was even a proposal in front of us all. I've never seen this in real life, only on tv. You can see two photos as he was on bended knee and after she accepted if you look closely to the left of the main centre image. We came home very late, very happy and very broke! Here's looking forward to 2012! Worth getting out of bed for! Cycling and a sore @&$# !